Did you see BeckerTime in Luxury Daily? BeckerTime CEO, Matthew Becker, shares his top insights in an article for choosing the best preowned luxury retailer online. Buying a luxury timepiece online can be daunting, and difficult to know where to start. 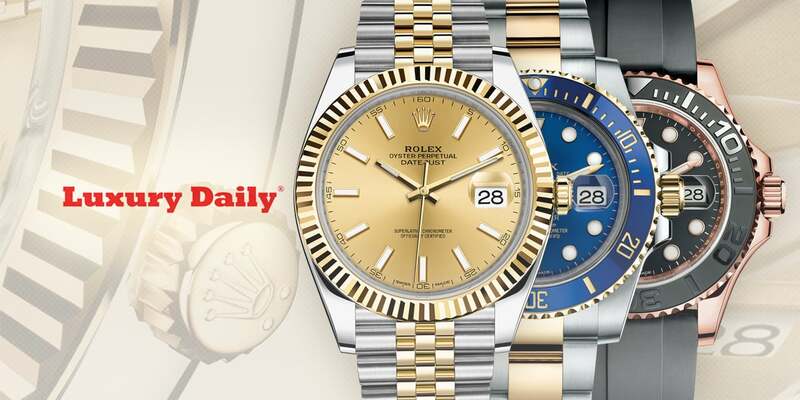 As a result, Matthew Becker shares his knowledge with the readers of Luxury Daily on how you can make an informed decision on where to buy your next preowned luxury timepiece. So, if you haven’t checked it out, find some of the highlights below. When buying a preowned luxury timepiece, consider a renowned brand like Rolex, which retains and appreciates in value if purchased right. Also, look for a retailer that specializes in the brand you’re looking for. They’ll be able to be your best resource for education on everything from styles to maintenance. Do your research! Consider retailers’ return policies, online reviews and even the company’s history. Only buy from retailers who offer a no-hassle, money-back guarantee. Always make sure to find a retailer who is willing to build a long-term relationship with you, the customer. Luxury Daily is the world’s leading luxury business publication. This daily news resource provides news, information and resources about luxury goods, such as apparel, arts and entertainment, automotive, consumer electronics and jewelry. With content ranging from news and analysis of the world’s leading luxury brands and retailers to industry-expert opinion pieces, just like Matthew Becker’s article. Subscribe to Luxury Daily to read the entire article. If you do not want to subscribe, view Luxury Daily PDF article about BeckerTime here. Don’t forget to visit our Facebook to let us know your thoughts!